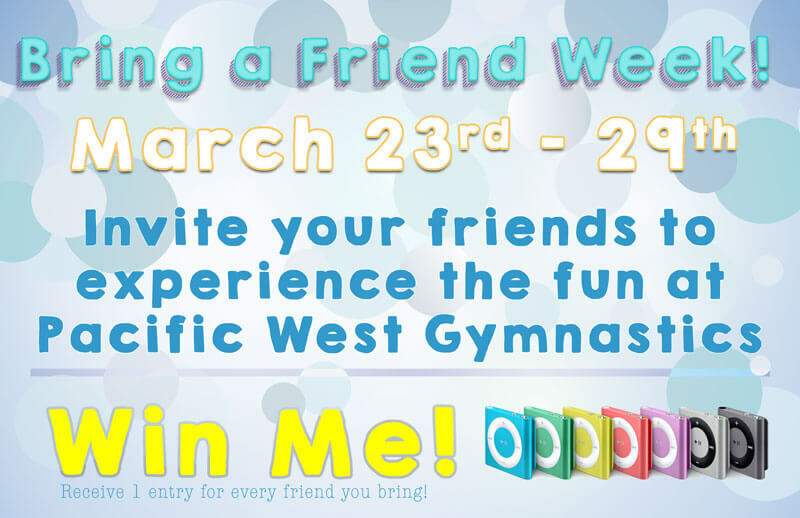 All Pacific West Gymnastics students are invited to bring a friend to class with them during the week of March 23 to March 29, 2015. Bring a Friend Week is an opportunity for your child’s friends to participate in a class at no cost! Come in for some fun, friends, games and prizes. Plus, be entered to win an iPod! Invitations will distributed in class the week prior and all friends must complete the waiver in order to participate. ← Nominate Pacific West Gymnastics as the Best in 2015!